On only the third day of Ghoorun Roshan Ara’s training at Sun Yat-sen University’s First Affiliated Hospital, she was busy preparing to assist a surgery on a newborn baby. The baby’s diaphragm had cracked, leading to difficulty in breathing and meaning that without surgery, the baby would have had less than 48 hours to live. Roshan watched its bluish face in the incubator, feeling a surge of anxiety. There were only 27 hours left for the doctors to perform the surgery—and she was going to assist them. Fortunately, the surgery progressed smoothly. She watched as the baby’s face turned pink, hearing its weak but steady breathing, Roshan finally smiled with delight. 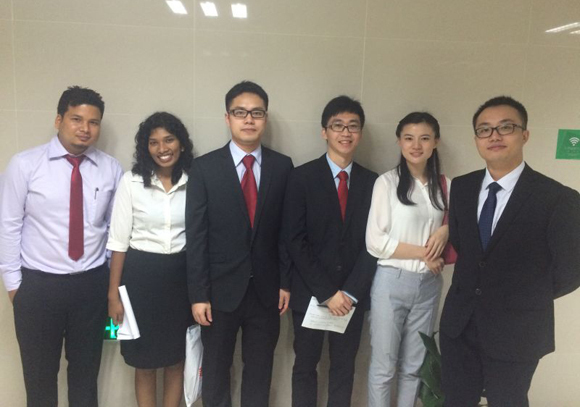 This is just one of Roshan’s many over the course of her seven and a half years studying medical sciences at Sun Yat-sen University (SYSU). “I didn’t realize that I have made it. 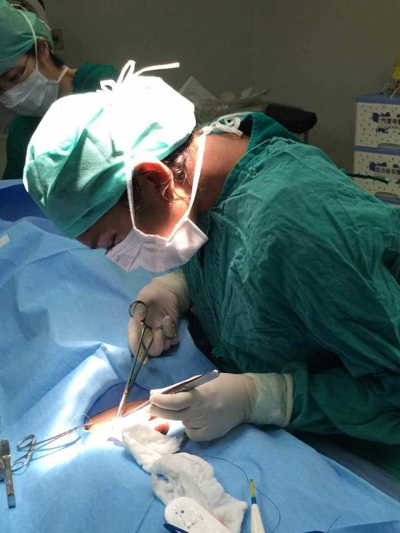 I don’t feel like I am going to graduate this summer, because I have a long way to go in studying Pediatric Surgery… I want to be a pediatric surgeon.” When she recalled her days at SYSU and talked about her dreams, her eyes shined with excitement and expectation. After graduating from senior high school in Mauritius in 2007, she packed her bags and flew thousands of miles from home to pursue her dreams in China. At that time, everything she knew about the country came from television; she recalled thinking only that China was a place where people “all used chopsticks”, embodying a totally different culture from what she was familiar with. She was excited and a little worried. It took her five months to get used to her life in China—living with other students, learning about Chinese culture, joining a cooking club, and making friends. Everything went well, except for the Chinese language. Though she attended the MBBS program taught in English, she knew that she had to conquer Chinese to get more involved in the community. She joined the campus English Corner, practiced Chinese with language-exchange partners, and attended Chinese courses, through which she picked up on the language one step at a time. 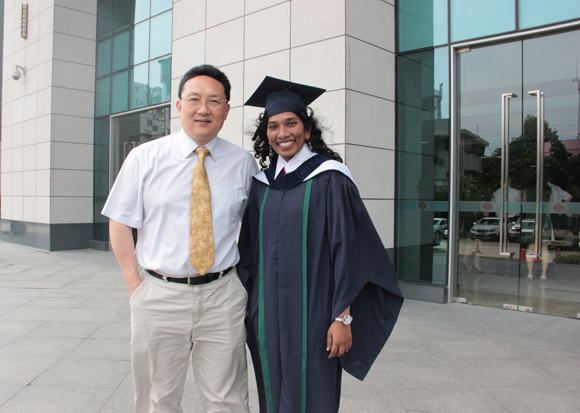 Time flies; the final year of Roshan’s master’s degree was suddenly upon her. Since last October, she has had the opportunity to undergo a short-term training in SYSU’s First Affiliated Hospital, where she has been able to study and practice the subject she has always longed for: Pediatric Surgery. “I am very fond of kids. Since childhood I have dreamed of becoming a pediatric surgeon.” She smiled like a blooming flower, her dream seemingly within reach, though it is challenging and sometimes even distressing, as there may be situations in which those little lives cannot be saved through surgeries. Being a surgeon means shouldering tremendous responsibility. “Some people advised me not to pursue a career as a pediatric surgeon; it is very hard.” She said. “I met some parents who sent a thank-you message to the doctors who have devoted themselves to the work, even though we were unable to save the life of their child. I am impressed and I have decided to continue to do Ph.D. at SYSU, no matter what.” She had been through a lot on the road to realizing her dream—hearing the cries of desperately ill children; toiling for hours to master surgical techniques; adjusting to a new language and culture; and forging lasting bonds with professors, doctors, friends, patients, and their parents. "If you really love what you do, you will not think about how long it takes. What I want to share with other SYSU students is this: do not be afraid, just fight for your dream," said Roshan, the girl who, step-by-step, is making progress on the path to her dream.